Colin joined the Domus Ventilation family back In September 2018. As a Contractor Sales Manager, he is hell-vent on connecting and developing relationships with many of our contractor and merchant clients from Norfolk to Leicester & the rest of the East. 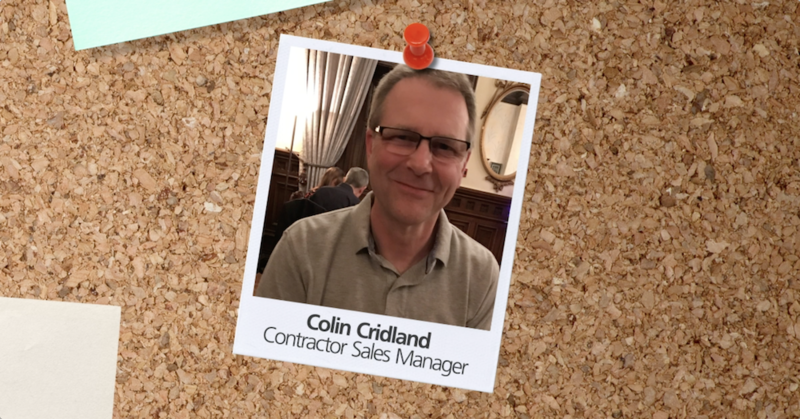 A keen Badminton player, Colin enjoys playing a few times a week and when he’s not swinging rackets, you’ll find him cycling the local country roads or walking the family dogs. A dab-hand at a spot of DIY, Colin’s passion project has been rebuilding his two iconic, vintage MG cars. Perfect for a morning Sunday drive. The absolute dream project though has to be building his own house, if he had to spend a spare million or two that is. Dream big! After all that tinkering, a nice G&T is welcomed with open arms, or a bottle of Shiraz depending on how the day has gone. Finally then – ideal workplace? Anywhere with a coastal view…maybe bring the Shiraz too just in case. We’re glad to have you on the team Colin!